Print the sheep head template out. Cut the head and square words out. Take a white or brown lunch bag and tape the sheep head at the top of the lunch bag. Tape the square with the scripture below the sheep head. More towards the bottom. Take your clothes pins and clip them on each side of the bag for arms. Tape two cotton balls on each clothes pin. You could always add a sheep tail in the back by adding another clothes pin to the back and just pinching the white bag together and clipping it on there. You could fill with newspaper if you wanted the bag to puff out more or even fill with treats for the kids. Or just leave it like it is. 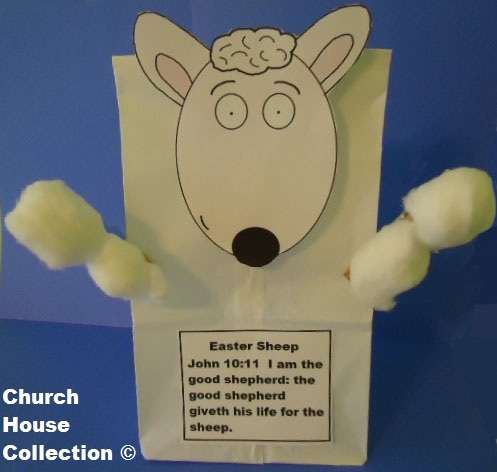 Do this sheep craft for Easter and teach the kids how Jesus is the good shepherd and gave his life for the sheep. And on the third day he rose again. 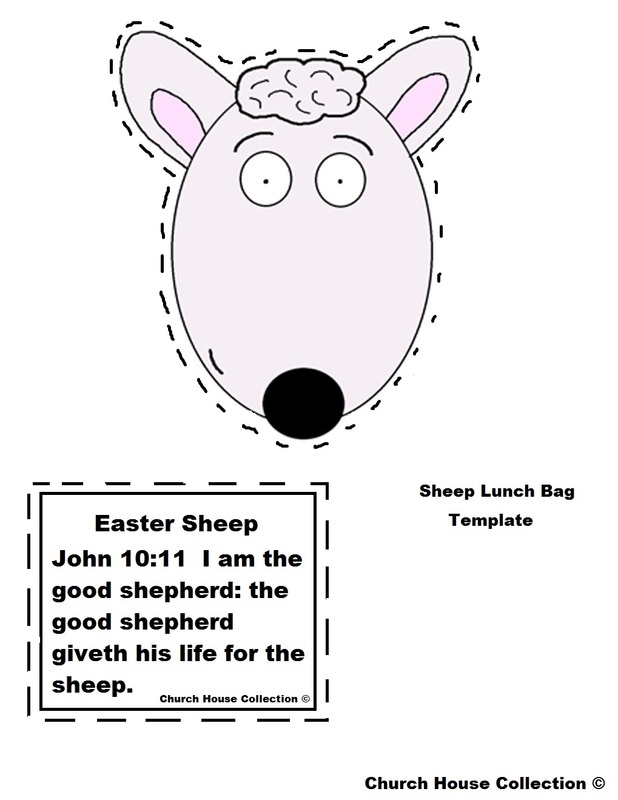 Use this craft to go with the Easter Sheep Lesson plan we offer.